3 Beds 3 Baths 2,415 Sq. ft. ABSOLUTELY SPECTACULAR--the ULTIMATE in LUXURY BEACH LiVING! 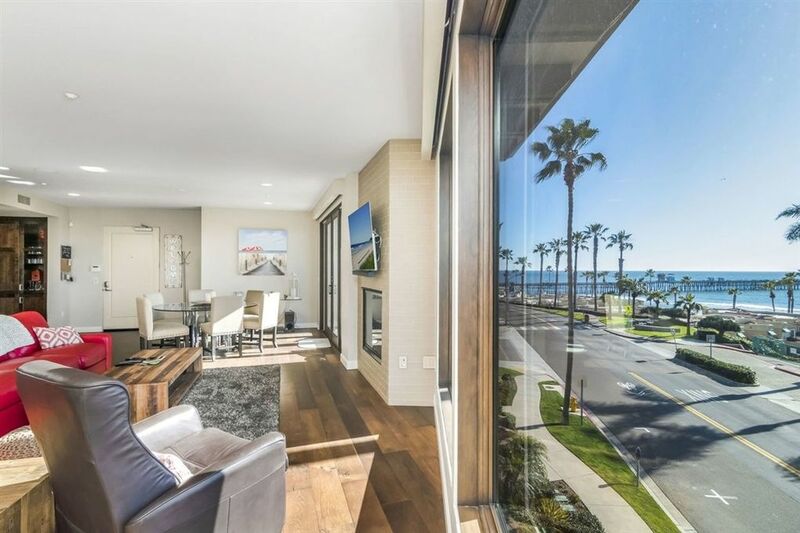 Top floor Kingston plan in the prestigious Montego condominiums this home is steps from the beach with gorgeous ocean and pier views from a Wall of windows . High-end everything-- from beautiful German Oak floors to Viking appliances. Smarthome electrical-- Enjoy sunsets on your own private balcony or entertain on the huge roof top deck with Big Screen, bar, barbecues. 3 parking spaces & big private secure storage in gated garage. Directions: 1 block north of the Oceanside Pier at corner of N. Pacific and Sportfisher.